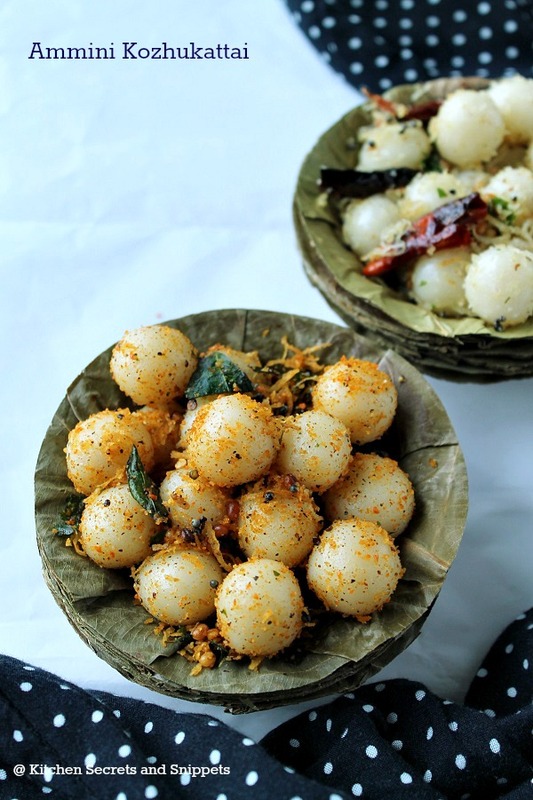 These Kozhukattai's are savory one's which takes merely minutes to make. 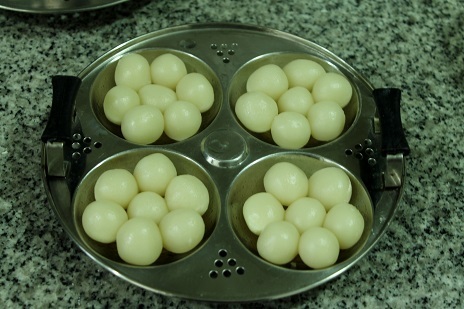 Earlier my mom used to steam the left over rice flour dough as small balls and season them. 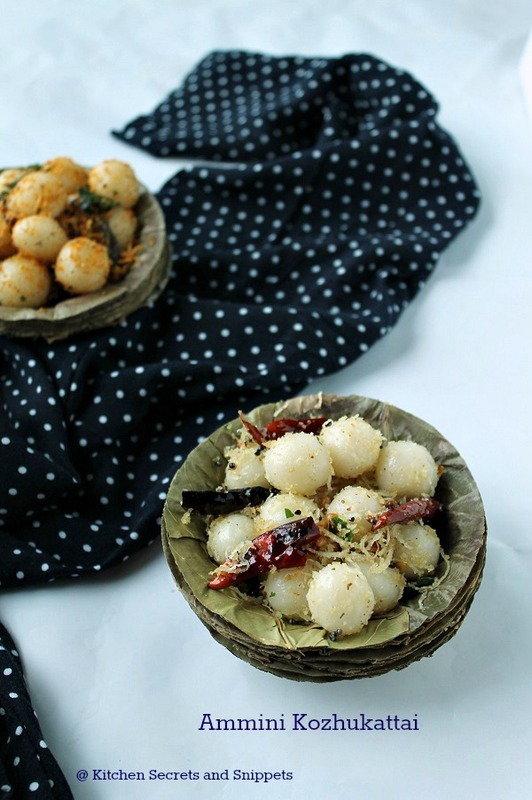 But these days, it became a tradition to make these savory one's in particular for doing pooja as it takes no hassle and it is total fuss free cooking. 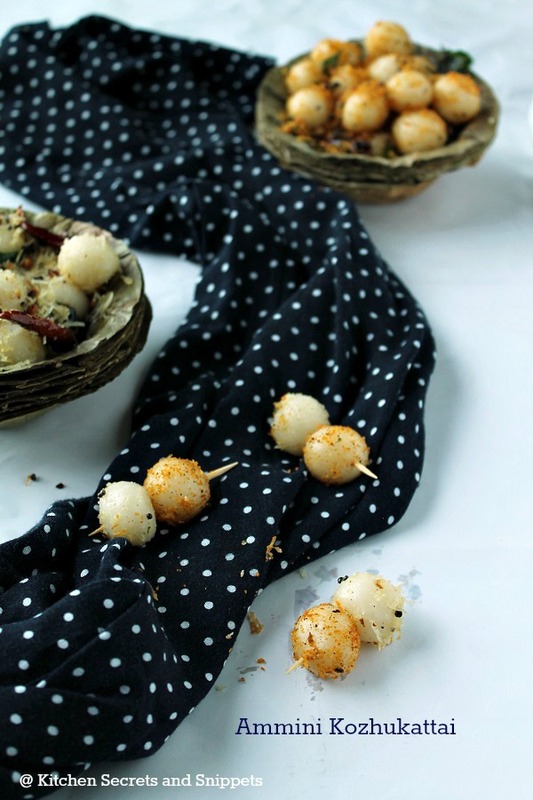 These can be made in many varieties like lemony kozhukattai, Sesame podi Kozhukattai, Sambar podi, Idli podi and the list goes on. Toady I've tried the simpler version of those for this Ganesh Chathurthi. Hope u all enjoy this. 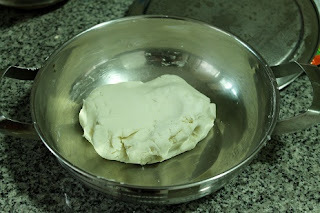 Add the Idiyappam/Rice flour to the bowl. 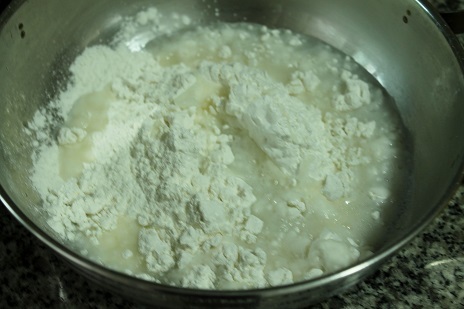 Boil the water with oil and salt until it is bubbling and add it to the flour. 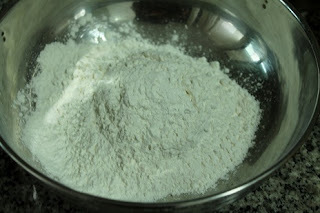 Start mixing the flour using the back of the wooden ladle and mix it throughly. Cover the bowl and rest for 5 minutes. Later knead to form a soft dough. 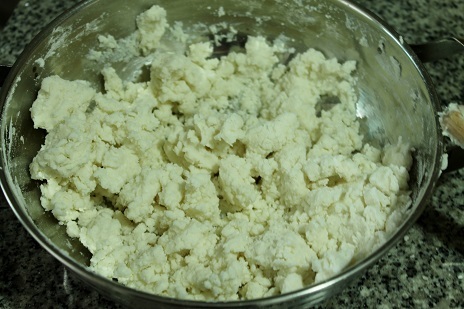 Pinch the flour little by little and form small little balls. 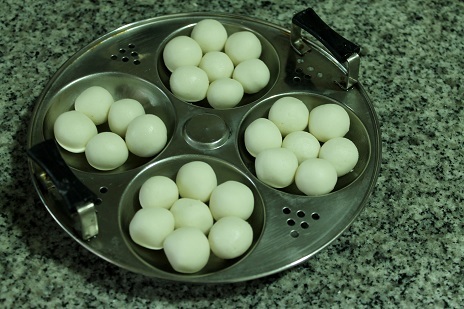 Grease the idli plates with little bit of oil and place the balls in there. Steam them for 10 to 12 minutes on medium flame. Dry red chillies, broken, 2 nos. Heat the oil in a wide pan and add the mustard seeds. Fry them until it finished splutter. Later add in the curry leaves, broken red chilies hing, urad dal and fry until the urad dal turns brown. Add the steamed balls, a pinch of salt, shredded coconut and mix well. Let them in low flame for a minute and transfer to the plate. 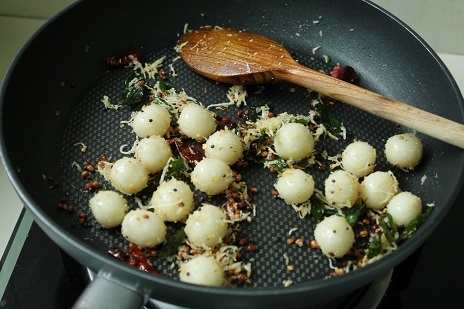 Heat the oil in a wide pan and add the mustard seeds. Fry them until it finished splutter. 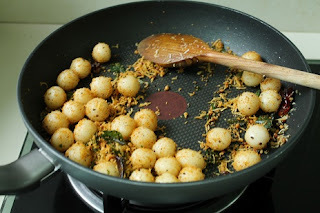 Later add in the curry leaves, broken red chilies hing, urad dal and fry until the urad dal turns brown. Add the steamed balls, idli podi, shredded coconut and mix well. Let them in low flame for a minute and transfer to the plate. 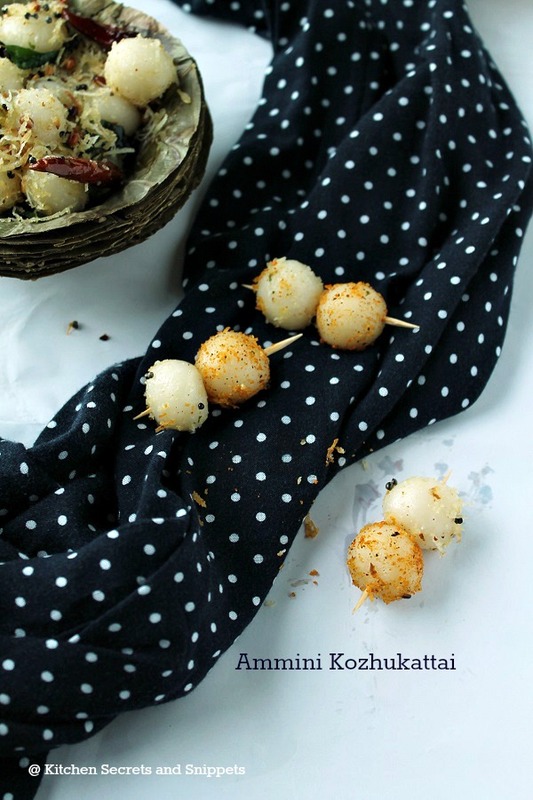 cute and tempting ammini kozhukattais. Lovely clicks and tempting mini kozhukattai.. Delicious and yummy looking kozhukuttais.Very wholesome indeed. 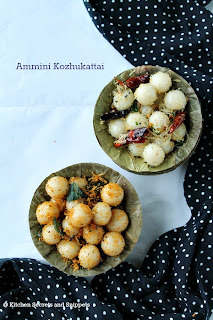 I dunno wat to chose, idli podi kozhukattais is extremely fantabulous..
Ammini kozhukattai looks so yumm. Colourfull and looking good.